Don’t scroll past this post just yet! Let me be clear: I am not here to make a political statement or endorsement. Rather, I want to help you be a better public speaker by thinking about how Donald Trump succeeds behind the podium—regardless of what you think of his message. I’m a huge believer in open communication with employees. When I was a young entrepreneur, I loved sharing how our company was doing, what was driving the business and why all of this was relevant. I focused my company updates through a simple lens called “WIIFM” — which stands for “What’s In It For Me” — in order to make these updates personally relevant to my employees. I attempted to inject these updates with humor as much as possible, and was known for telling colorful stories about my childhood (let’s just say that dysfunction was the key theme). When my company was a single-location startup with less than 50 employees, employee engagement levels were amazing. When a business grows rapidly, it is pretty easy to keep everyone motivated. As we grew however, I noticed that not everyone was listening as intently to what I had to say and I quickly became frustrated as I realized that employees were no longer as highly engaged in company updates or our all hands meetings. Well, it happens. Organizations grow more diverse and complex, motivations change and connections fizzle. My small, intimate organization of highly engaged employees had become a multifaceted organization made up of people with different levels of motivation, engagement and interest. What was I to do as the leader, key speaker and motivator of my employee base? Well, here’s where Donald Trump comes into play. A speaking coach with experience working with political candidates gave me one simple piece of advice: engage the believers and convert the fence sitters. Through this approach, you encourage the continued support of engaged employees while turning semi-engaged employees into believers. And once those fence sitters are converted, enthusiasm is contagious. 1. Know your audience is made up of three groups. These three groups are the believers, the doubters and the fence sitters. Believers have already bought into the story you are telling. They are in agreement with what you are saying and trust you implicitly. When my company was still small and growing, my audience — the ones who laughed at all my jokes — was made up mostly of believers. The fence sitters are the key to making progress with your message. They are not sure what to think, which means they are open to persuasion, and they alone can dictate success or failure. 2. Start by thanking your believers. First and foremost, make sure you engage the believers directly and encourage their continued support. Feeling acknowledged helps them continue to advocate for you. Don’t waste time trying to sway doubters—their minds are made up—and focusing your core message on them has the potential to undermine your support from the believers. 3. Tailor the bulk of your message to the fence sitters. The bulk of your motivational message should focus on the fence sitters. Like it or not, this is exactly what Donald Trump does (and how he became President of the United States). When he’s on message, you can see one thing: he’s laser-focused on converting the fence sitters. Wow. Thank you. That’s a lot of people, Phoenix, that’s a lot of people. Thank you, Phoenix. I am so glad to be back in Arizona. He uses almost the entire rest of the speech to address the fence sitters. First, he disarms doubts about what a “Trump rally” is by stating that he’s doing things differently for the audience. Then he addresses objections that he is not a serious candidate by saying he will give a serious speech on policy. I’ve just landed having returned from a very important and special meeting with the President of Mexico, a man I like and respect very much. And a man who truly loves his country, Mexico. And, by the way, just like I am a man who loves my country, the United States. He then addresses any doubts about unfairness. And, in a Trump administration we’re going to go about creating a new relationship between our two countries, but it’s going to be a fair relationship. We want fairness. But to fix our immigration system, we must change our leadership in Washington and we must change it quickly. Sadly, sadly there is no other way. The truth is our immigration system is worse than anybody ever realized. But the facts aren’t known because the media won’t report on them. The politicians won’t talk about them and the special interests spend a lot of money trying to cover them up because they are making an absolute fortune. That’s the way it is. The speech goes on. 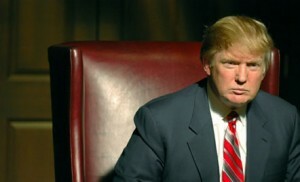 Much has been written about the persuasive skills of Donald Trump; in the rest of his lengthy speech he addresses the fence sitters throughout by constantly restating his support for the American people, naming and elaborating upon common enemies, proving his points with examples and restating emotional messages. Whether you agree with Donald Trump’s position or not, his tactic of swaying the undecided voters worked. As you think about your job as an entrepreneur, it is really simple — you need to get prospects, customers, employee and investors to get behind your message. This alone is nearly 100 percent of your job. Next time you prepare a company speech or investor pitch, consider this simple recipe: thank believers to keep them on your side, don’t waste any time on the doubters and focus exhaustively on winning over the fence sitters. This formula yields amazing results. 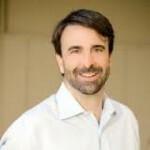 Mike Smerklo is Co-Founder and Managing Director of Next Coast Ventures. He has been active in the technology industry for 20 years. Prior to Next Coast, Mike was Chairman and CEO of ServiceSource (SREV). He is also Co-Founder of Nucleus Growth. Mike was named an Ernst & Young Entrepreneur of the Year Award Finalist in Northern California in 2010. Mike is active in YPO and various community endeavors.